Staking coins is a magical experience. It literally prints money directly into your wallet. We believe Proof of Stake or similar consensus models will become a standard for most public blockchain infrastructures. To evaluate projects from the investor side, it is substantial to understand the principles, which are unique in every project. With this series we will present one asset in each week. The first week we are talking about Tezos (ꜩ). We will go through the basics, core principles and of course explain the staking feature and aspect. Tezos is a self-amending blockchain protocol which supports smart contracts and decentralized applications to be built on top. It is built with a very robust underlying security and automated verification of code. Who is the team behind Tezos? Tezos is an open source project and allows anyone to contribute. The Tezos Whitepaper was written in 2014 by Arthur Breitman. Since then the Codebase has been developed by his company Dynamic Ledger Solutions. Now the Tezos Foundation is assigning funds to many other companies and individuals who help to develop the protocol and the infrastructure around. The Tezos Foundation sold 80% of all ꜩ tokens for $232 million in July 2017 through an uncapped ICO. 10% were reserved for the Foundation and another 10% for the development team. After some misalignments with the previous head of the Foundation, the community decided to propose a new management. Now the Foundation is led by fully-committed community members, who finally pushed the launch of the network to the 01.07.18. Since then the network network runs without major complications and has already even updated the verbiosity from Betanet to Mainnet. According to a recent statement the Foundation is still holding about $500 million in assets (not including the ꜩ holdings). Anyone willing to support Tezos can apply for grants on their website. The structure of Tezos allows the network to upgrade itself over time without having to hardfork and cause a divide in community. Alignments are formed through self evolution and innovation. Stakeholders will have direct influence on the evolution of Tezos through a voting system for proposals or amendments in the codebase. The Tezos Codebase is written in the powerful functional programming language Ocaml. 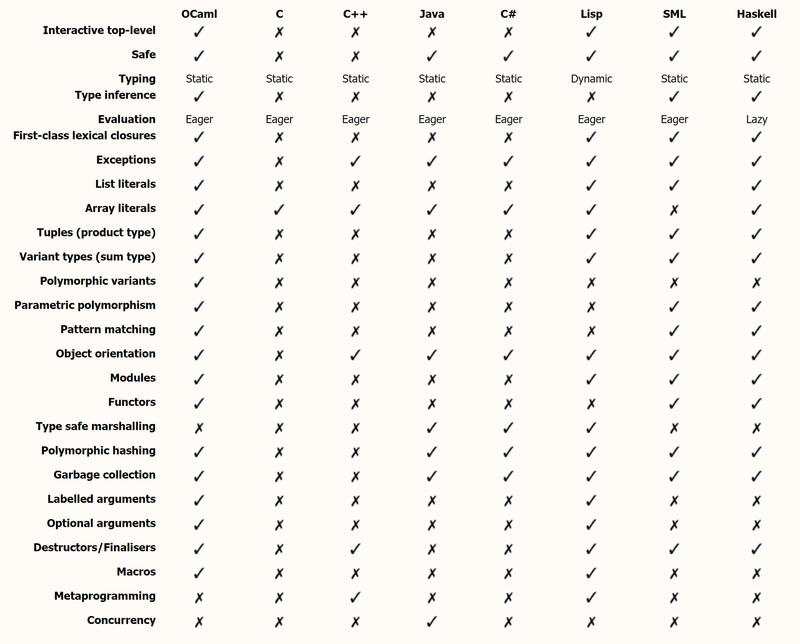 Ocaml emphasizes expressiveness, readability, safety and speed. Compared to other languages we can see, that it has many advanced features. That being so the Tezos code is very secure and less vulnerable to attacks or bugs. The programming languages Michelson and Liquidity are exclusively built to write smart contracts and run dApps on the Tezos Blockchain. Michelson and Liquidity allow the users to prove the properties of their contracts through Formal Verification. Formal Verification is a technique which mathematically proves the correctness of the code governing transactions and boosts the security of the most sensitive or financial weighted smart contracts. 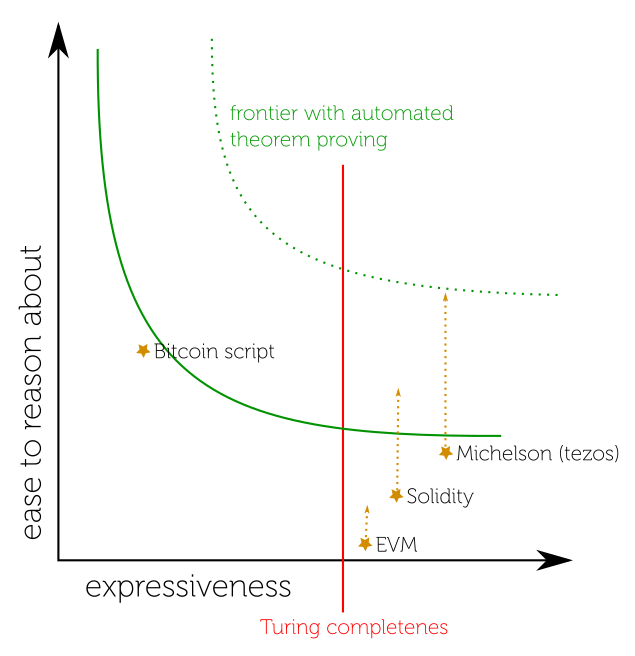 Through the automated verification process, it facilitates the best tradeoff between “ease to reason about” and “expressiveness” of the turing-complete code. Staking in Tezos is referred to as “baking”, while baking new blocks is a cheeky metaphor for creating new blocks on the tezos chain. The consensus model in Tezos itself is defined as Liquid Proof of Stake (LPoS). LPoS enables stakeholders even with the smallest sum of holdings to participate in the baking & governance process, by delegating the coins to a Delegation Service of their choice. How to bake Tezos independently? To bake Tezos idependently it is required to have at least 10,000 ꜩ, as the baking rights are assigned in rolls, where 1 roll represents 10,000 ꜩ. For the process it is required to run a Tezos Node as well as the baker & endorser client, which must be constantly connected to the power and internet. Security wise it is recommended to maintain the node with regular updates from the dev team and secure the funds in a hardware wallet. What is a Delegation Service? A Delegation Service is baking and endorsing new blocks on the Tezos Blockchain. For everyone who doesn´t have enough coins or simply doesn´t want to bake on his own, it is possible to delegate his coins to a Delegation Service to bake for him and still get a share of the rewards. Is it safe to delegate Tezos? Delegating Tezos is very safe. The investor keeps control over his private keys and doesn´t send the coins to anyone. Delegating is just like voting, where the voting power is pegged to the number of coins currently held in the address. How are the baking rewards determined? Participants receive rewards for baking new blocks, endorsing new blocks and also receive the transaction fees spent in the network since the last block. The quantity of baking and endorsement rights being assigned to a participant is depending on his Staking Balance in correlation to the total sum of all coins currently being baked or delegated to all bakers. The higher the individual share of the total supply of coins, the higher the chance of getting more baking rights. While delegating to a Delegation Service, the individual holdings are set in correlation with the total Staking Balance of the Service and rewards are paid out accordingly after they have been released by the network. If all coins would have been activated and being baked or delegated to a baker, the yearly inflation rate of Tezos would be 5.5%. Delegating Tezos is very easy, secure and can be done within a few minutes directly inside the wallet. For specific instructions this guide is very helpful. If you hold some Tezos or plan to invest in Tezos there are many choices of Delegation Services. It important to make sure the service is legit, not over-delegated, has a reasonable fee and pays rewards frequently. HotStake offers a totally secure and anonymous Delegation service with a simple flat fee on the overall earnings including baking, endorsing, fees and possibly missed blocks from others. Also they do have a reliable and secure infrastructure with rewards being paid out each cycle. In the live telegram support group they answer any questions, if you need assistance. Why do we recommend HotStake? As an independent research platform, we are looking for ways to fund the further development without placing annoying ICO ads or listing sponsored shitcoins. With HotStake directly supporting the development of our website, we are proud to be partnered. Being directly involved we can recommend them with a good conscience. The independent research platform tracks all digital asset staking rewards & dividends. It enables investors to explore new streams of income through passive earnings on their digital asset investment portfolio. The team behind the site is putting great effort into providing the most useful and most actual information available. If you like what we are doing make sure to share it and spread the news!